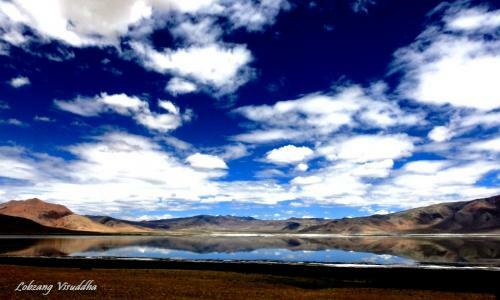 Ladakh, located on the border between the Pale-arctic and the Indo-Malayan zoogeographic regions and it hosts typical bird species from either side. 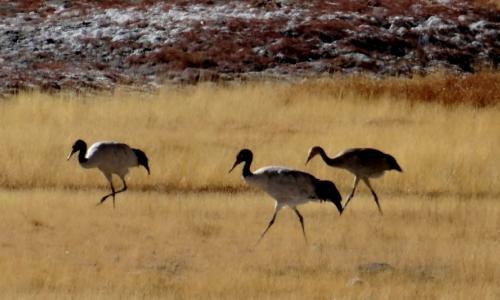 In addition, characteristic Tibetan birds extend their home ranges well into eastern Ladakh. The dry summer months, again, attract a multitude of breeders and being the last of first accessible place during the spring and autumn migration, it is an important stage for aggregations of birds while crossing the lofty Himalayan range. These diverse ornithological influences make Ladakh a real melting pot of bird movement. Ladakh is still not known as a popular birding paradise. 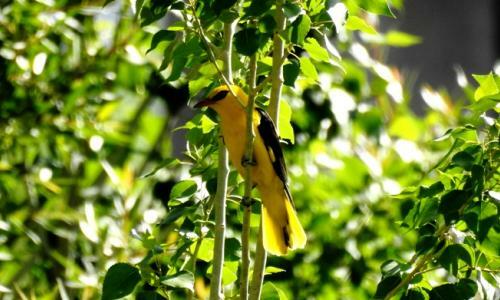 Its vastness, remoteness, and limited accessibility, harsh geographic conditions encouraged few researchers, birders to spend sufficient time on bird studies in its hostile valleys, hills and plains. Wintering Birds is the smallest group. As it is rightly stated by Mr. Otto Pfister, the only ornothologist having authority on Birds of Ladakh, “Ladakh, like any high altitude desert in the world, has a fragile ecosystem that can be easily spoiled by unimaginative planning and uncontrolled tourism”. 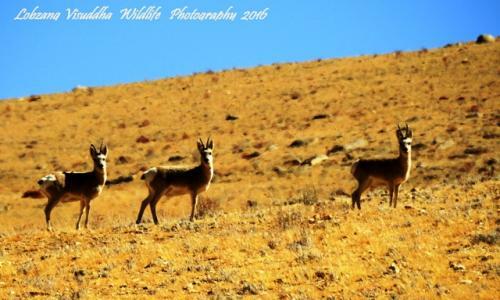 Hence precautions while promoting birding and wildlife tours are being taken care of by Ancient Tracks, so that the gist of the tour still remains - promotion and conservation of Wildlife while Birding in Ladakh. Following Itineraries are customized and tailored made to cover Important Birding Areas (IBA) and maximize the chances of spotting more number rare and specific to the region on these Birding Tours to Ladakh.